In SoCal, there’s a property report company by the name Local Records Office that works closely with new homebuyers & families that want to know more information about a specific property. 'Local Records Office' along with a handful of employees work with customers across the US. In SoCal, there’s a property report company by the name Local Records Office that works closely with new homebuyers and families that want to know more information about a specific property. Local Records Office along with a handful of employees work with customers across the United States. The real estate industry along with technology is something that changes rapidly, homes are not being bought like they once were, homes are not being sold like they were in the past. Buyers want more detailed information faster than before. Unfortunately, with the rise of the Internet there is also a rise in property fraud and deed scams, this is one of the key facts why new homebuyers should educate themselves. An article on Yahoo Finance emphasized the consideration of many factors when choosing a community. 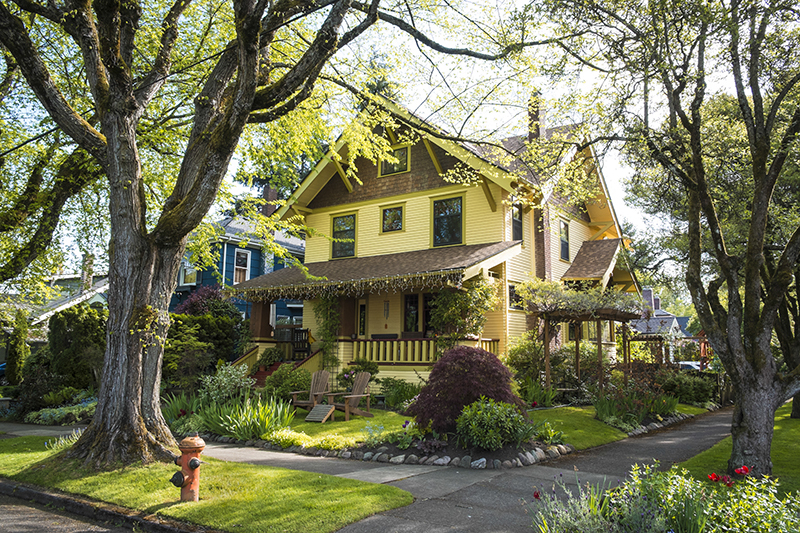 Local Records Office relays the stresses of choosing a neighborhood and home. What neighborhoods are best for my family and me? How are the schools are the area? Are groceries stores and retail stores nearby? Is it affordable? Some people may say that making so many decisions is overwhelming. According to Local Records Office, “Every family has a different set of principles”. John Johnson, 39, a father of 5 children is one of Local Records Office’s customers that recently moved into a Los Angeles, CA neighborhood after renting for the past 10 years suggest that new homebuyers give purchasing a property report a good thought, “I almost moved into one of the worst neighborhoods in the biggest county in California, but thanks to purchasing the report from LRO (Local Records Office) I found the perfect home in an awesome neighborhood” says, Johnson. Harold Wilson, 86, a veteran who lives alone says, ”I was a victim of deed scam by my own family member, 9 years ago, after that experience, I check my property deed once a year”. Unfortunately, deed scams are common among thieves who prey on people they know. Local Records Office explains how deed scams and property fraud works. Even though they are similar they are much different. One of the most common deed scams is when the perpetrator gets a hold of the original or copy of the deed and changes the homeowners name with the county records office without the homeowners knowledge, in some cases the scam artist will get ahold of a copy of the deed and sell the property to unsuspecting homebuyers with the current homeowners still living in the house. This comes as a big shook to the family living in the home when the new owners come knocking on the door expecting to move in. Property fraud is when the crook illegally uses someone else’s property for financial gain. It usually occurs when someone records a fraudulent document in the county records office, similar to the deed scam, the major difference is that the crook will change the name on the deed to his or her name mainly targeting the elderly. The biggest benefit of the property report package from the company ‘Local Records Office’ is the information that realtors and brokers don’t provide. The 10+ pages package has up to date information in, property value, demographics, foreclosure activity, criminal activity, and much more. Even though some of the information is available online the majority of the time it’s not up to date or a monthly subscription fee is required. Property value refers to the worth of a piece of land; property value fluctuates over time usually by going up on value. The more demand there is for the land the higher the price will go. Big corporations use precise algorithms to determine if a specific land is worth investing in and see if it will keep the property value over time. Demographics is used to determine the population of the neighborhood and or city and the particular groups with in. This information is useful because new homeowners are able to see how many people live in the neighborhood. Criminal activity is one of the most popular features that new homebuyers like the most. Unlike online crime reports this feature details up to date activity around a specific property. This section is important for all buyers but mainly for families with small children, the elderly who don’t have close family to keep an eye on them and those who live in big cities where there is more of a chance for crime. As a homebuyer foreclosures are a way to get a home for a fraction of the price but for homeowners with foreclosures nearby this could be a bad sign. Neighborhoods with foreclosures are known to go down on property value. When it comes to our children we want to give them the best education in the best schools we can find and afford, but it doesn’t always work that way if the teacher-to-student ratio is off. The ideal ratio is 10:1, that’s 1 teacher for every 10 students. The term can also be reversed to create a teacher-student ratio. Once a new homebuyer has found a house they are interested in, Local Records Office helps them with the detailed report, that simple. The small fee of $89 will cover the research, printing, and shipping. Customers usually receive the package in 21 business days. A paper copy of the deed will also be included as a courtesy.